First Appearence In Episode: The Double Trouble Header! Casey is a young Pokémon trainer from New Bark Town. Loving the famous Electabuzz Baseball team, Casey likes Pokémon that are striped Yellow & Black like Electabuzz. Having started off as a Pokémon trainer recently, Casey is a fairly naive trainer, however she managed to learn a lot really quickly and even helps the Electabuzz Team's Mascot, a Charizard out. As a trainer, when she met Ash she started a small rivalry, aided by the lies of Team Rocket, but managed to make friends with Ash fairly quickly. However she is still her own trainer and likes to travel around Kanto & Johto, primarily to see the Electabuzz team. She enjoys singing the Electabuzz Team's theme song. Casey has participated in several gym battles as well as a Bug Catching Contest. She also managed to help an Electabuzz Mascot gain confidence in it's abilities. Having evolved from Bayleef, Meganium is Casey's main Pokémon. Usually seen out of it's Pokéball, Meganium has gained an affinity for the Electabuzz Baseball team and is as eccentric about them as Casey. It is however, still a vital part of Casey's team and an incredibly strong Pokémon relied on in battle. Evolved from Bayleef prior to episode: Here's Lookin' at You, Elekid! Being the unevolved form of Electabuzz, Casey was eager to capture an Elekid so that she can fully have the spirit of the Electabuzz team with her. Elekid originally was a kind Pokémon that looked after Larvitar after it got lost. After battling and catching it, Elekid became a good Pokémon that Casey enjoys using in battles. Caught in episode: Here's Lookin' at You, Elekid! Originally owned by Ash after catching it in the Bug Catching Contest, Ash gave Casey the Beedrill, a Pokémon she really likes due to its Yellow & Black Stripes. As one of Casey's favourite Pokémon, Beedrill is seen a fair bit, however it is not used so much in battle, but like all flying Pokémon, to quickly scout and look for people and Pokémon. Only seen briefly, Rattata was one of the first Pokémon that Casey caught. Using it in battle with Ash, Rattata was easily defeated. 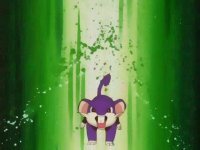 Rattata however did not lack spirit and still was used, and was successful in helping defeat Team Rocket. 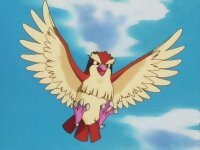 Only seen briefly, Pidgey was one of the first Pokémon that Casey caught. Using it in battle with Ash, Pidgey was easily defeated. Pidgey however has some fast attacks that were used in defeating Team Rocket. Evolving from Chikorita in a battle against Team Rocket, Bayleef was a strong powerhouse of Casey's. Unfortunately it's appearence was fairly brief so we do not know much about it, however like Chikorita, it enjoyed being with Casey and rooting for the Electabuzz Baseball Team. Evolved into Meganium in episode: Here's Lookin' at You, Elekid! As Casey's starter Pokémon, Casey outfitted Chikorita with a headband to show her support of the Electabuzz Baseball team. With the time spent with Casey, Chikorita also supported the Baseball team and showed it's support. However Chikorita was still new and relatively inexperienced in battle and got scared a lot, but it managed to evolve and become more sure of itself.